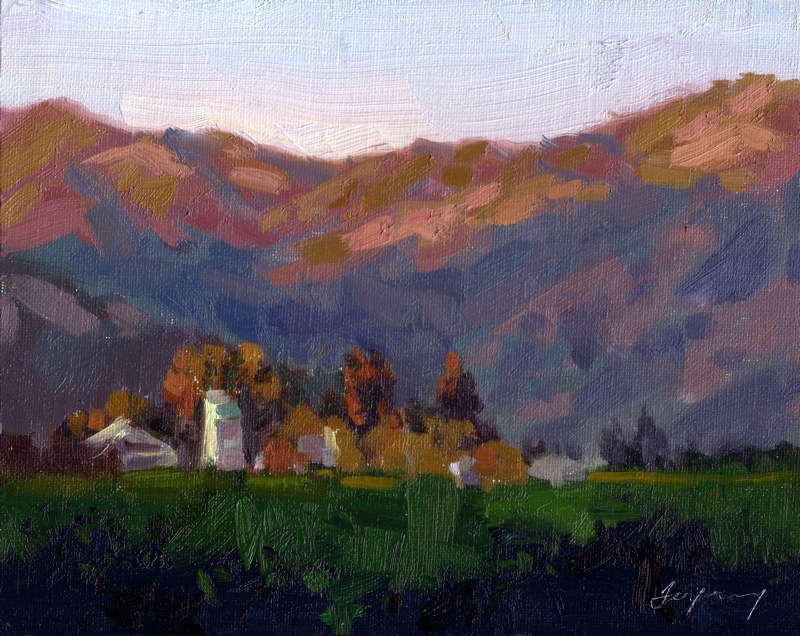 I was in Napa Valley for my birthday last week, and while I hoped to paint on site, I ended up tasting lots of wine! Why not? I did capture some amazing sights with my camera, and this image is one painted from that. Enjoy your holiday weekend (for those in the US 🙂 !